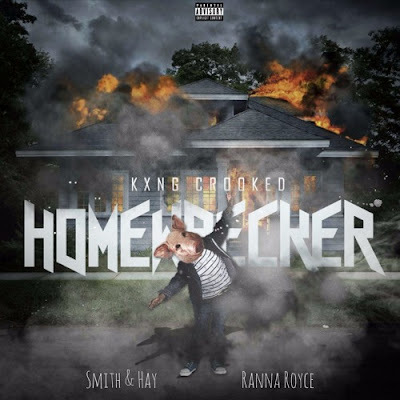 kxng crooked New Music: KXNG Crooked "Homewrecker"
New Music: KXNG Crooked "Homewrecker"
KXNG Crooked opens up about relationship betrayals on this new single "Homewrecker". The Slaughterhouse brethren collaborates with Smith and Hay and new Persian producer Ranna Royce. "Homewrecker" picks up right where the production team left off with their first single, “Pawn Shop," which featured Eminem's newest signee Conway. “Pawn Shop” & “Homewrecker” will be both included on the upcoming comedic album, The Hoodlum Ball, which also features The Game, Cyhi The Prynce, Twista, Riff Raff, MC Eiht and more. KXNG Crooked will also be releasing his new solo album, Good Vs Evil 2: The Red Empire, on 12-8-2017!